Anywhos.. I'll get to the topic! Prayer for Atin: Has a bunch of stuff... which includes debates.... and all that fun stuff :D Homework is considered that too! -yes.. no.. no yes! but really.. its a LLOOOOTT of work. Yep.. Its the EMT dude.. no ITS NOT A DUDDDEE ITS MY ROLE MODEL AND A TRUE FFFRRRIIIEENNNDDD!! *stops rant cuz i know Arya will be facepalming* The prayer needed? He has another test.. which if I understand it correctly, is a Cardiology exam. Yes. Its another Paramedic EMT (emergency medical technician) exam which can and most likely WILL be stressful. If ya'll can pray for him, it would be extremely appreciated! Exactly what he needs prayer for, I"m not exactly sure.. but I definitely know that he needs prayer for wisdom and the strength to pull through this exam. I know (by his study behavior) that he will def do well! Thank Ya'll for your support and May God be with you wherever you go! Atina: Being apart of the Mandalorian Mercs Costume Club, how do you think that this helped you with find people with similar interests? Atina: I've been listening to the Keldabe podcasts, which has been your favorite podcast so far? Atina: How long have you been an official merc for? Atina: What has been your most memorable moment being a Merc? Cyrus: Ooh tough one… I’m gonna call them “moments”. Its seeing little kids smiling when I interact with them while I’m kitted up. Atina: Being a verd'ika, do you have any tips for making a wicked kit but for a lower price? Cyrus: Hmm… Save your Money! Put some cash aside every now and then while you’re brainstorming your design. When you do start, its best to do it right and not go the real “cheap” route. It’ll actually cost you less in the long run. Read up and listen to the veteran costumers for tips and tricks. Also, look around for anyone selling used stuff. Atina: How long have you been a Star Wars fan for? Cyrus: I’ve been a fan for most of my life. I remember playing with my cousins SW action figures when I was a kid then buying my own. Atina: What is your favorite books, character (no it can't be your Mandalorian character -_-) movie, action figure, and weapon in the Star Wars Universe? Atina: Armor... Amour... Armor... Yep.. The most essential part of being a Mandalorian!! How heavy is a typical armor? Cyrus: How heavy your armor is depends on the coverage (Boba=light, Jango=Medium or heavy) also what material your using (Metal, Sintra, plastic bins). Id say my kit (made of sintra) with all the bells and whistles weighs about 15lbs give or take a little. Atina: Bounty Hunting!! Oohh yyyeaa!! Who's with me?? *fist pump* Will celebration 7 have a jail cell like celebration 6? Cyrus: Im sure it will. It’s a cool thing to have at any con and helps bring in some charity money. Atina: How many KITS do you have? I know that several people have multiple KITS. Cyrus: I have one complete kit, one kit in a w.i.p status (Work In Progress) and another w.i.p for my lil boy. Atina: Out of all the Mercs, who do you go with to Conventions? Cyrus: I tend to stay local so I attend the local cons with my Clan. Manda’galaar! Atina: What is your job as the Alor of a clan? Cyrus: I’m actually one of the clan Ruus’alors or Sergeants. We are the CRL (Costume Requirements List) enforcers. I help any new member in my clan with their build to make sure it meets all the requirements to become official. I also help established members with any upgrades they may want to do for the same purpose. Basically my job is to make sure everyone’s kit are ship shape! Atina: How much money didya spend on your totally wicked KIT? Cyrus: Good question! Ballpark for Cyrus is about $400. My second kit is about the same right now, but I’m not done with it yet. This is an interview with Cyrus Rang! So I just got an update from Blackwraith and I would love it if ya'll can pray for him. He has been up for 52 hours (AAUUUUGGGHH) and prayer will be LOOOVVEEDD! Atina: Being a part of the Mandalorian Mercs Costume Club, how do you think that this helped you with finding people with similar interests? T: It's definitely helped with finding people with similar interests, whether it be through the forums or via conventions both local and international. I don't think I'd have met so many people from across the world were it not for the Mercs. Me: I've been listening to your podcasts, which has been your favorite podcast so far? T: Probably the April Fool's day podcast, but I have such a great time each episode that it's hard to pick. T: It was the front chevron piece on the DSB Assassin helmet. Mereel claims it was Bulloch, but Mereel had it on last before it was broken haha. > Me: How long have you been an official merc for? > Me: What has been your most memorable moment being a Merc? T: For the moment, it would have to be helping out with Seth Green's panel at CVI. Got to hang out with Seth, Matt Seinreich, Todd Grimes, Donald Faison, and James Arnold Taylor in which myself and two other Mandos got to haul James on and off the stage as part of the panel. To top it off, George decided to drop by for the panel on Saturday! > Me: Being a verd'ika, do you have any tips for making a wicked kit but for a lower price? > Me: What was your favorite part of Celebration 6? T: The entire thing, so many fantastic events happened and being able to hang out with friends from all over was fantastic! > Me: How long have you been a Star Wars fan for? T: Since the moment I first saw A New Hope when I was four or five years old. > Me: As a big Star Wars fan, what has been your favorite game, books, action figure, character, and movie? T: I very much enjoy all the Star Wars lore from the games, books, shows, and movies. Favorite game would have to be Star Wars Galaxies, book would be the Republic Commando series, not a huge collector of action figures, favorite character Qymaen Jai Sheelal (points to those that know who I'm referring to without using Google), and favorite movie of the OT is Empire, favorite of the PT is Revenge. > Me: Do you have any tips for people who wants to be an official member? T: Use the search feature on the forums, plenty of info and pretty much everything has been answered before. Make a WIP thread for your work, take plenty of clear well lit photos, and listen to the critiques of the Official Members. The critiques are there to help you, not to discourage. Everyone starts somewhere, so don't get frustrated if it's not perfect the first time. > Me: How many weapons do we need to become official? > Me: The dreaded subject.. I know... Lots of people attach to much osik on their helmet, but to make an awesome medical kit, what should you have on it? I happen to be in the Shock Infantry brigade, so I haven't paid as much attention to the Medic section. Brigadier Slade Kel is the man in charge and I'm sure he'd be happy to answer any questions you send his way. Me: So you talked about the different brigades, could you please explain that? > Me: How many Celebration have you attended? T: Just CV and CVI [so] far. > Me: Could you explain what you do at armor parties? T: Teach and be taught skills and techniques for working on armor, socialize, and in general have a good time! Me: How didya decide to make your armor? I mean, its unique! Legacy right? T: Well before I had a standard modern era kit and decided I wanted to make something more elaborate. At the time Legacy armor was quite new so I drew inspiration from there. Looking at real world armors of similar styling I determined that setting it up like Lorica Segmentata would allow for excellent mobility. You're quite correct though, the design is custom and unique to me. > Me: Armor... Amour... Armor... Yep.. The most essential part of being a Mandalorian!! -_- How heavy is a typical armor? I realized that you are wearing legacy armour.... How heavy is your armour? T: The full kit weighs approximately 25lbs, however I barely notice it given the way I have the strapping set up. All the weight is balanced on my shoulders or on the belt. T: Really depends on the convention and what you do afterwards. For me, once the con is over and the fantastic experiences are memories, I begin working towards the next con. The 29 day roadtrip to Chicago for Wizard World, New York City, Washington DC, Orlando for CVI, and Atlanta for D*Con, and the drive all the way back to Canada kept me plenty occupied this last con trip. As of writing this, my local convention is less than a month away and I've got to update or finish three costumes. > Me: What would you expect at Celebration 7?? Yea.. It's like 2-3 years.. But I believe that a lot of the readers would like to know! T: An absolutely phenomenal experience that I likely cannot do justice with words. Truly an event to be experienced firsthand! I promise you won't regret making the trip. > Me: Bounty Hunting!! Oohh yyyeaa!! Who's with me?? *fist pump* Will celebration 7 have a jail cell like celebration 6? T: I'm certain that given the success at CVI, we will see the cells back out for plenty of use at CVII. The clan in Florida did a fantastic job on creating the cells based on the Manitoba clan's original designs. > Me: Would you mind telling us what y'all did at Celebration 6? I've been like watching and reading about it. Would you mind telling us what you did? T: I think you'd need an entire interview to document everything that happened. Highlights were the Death March where we had several dozen Mandos marching through the con, the Mercs Bash, the 501st Bash, Seth's panel, and just hanging with friends. > Me: Being a regional commander, what is your job? T: Essentially my role is to serve the clans in my area (Canada) and those working towards forming new squads and clans. > Me: Keldabe Talk Radio!!! As a part of the Podcast Team, how long does it usually take to finish a one hour episode? T: We can spend anywhere from an hour and a half to three hours, depending on how the discussions go and how far off on tangents we sometimes end up. Always a fun time to record them. T:Hahaha, we all joke around plenty. I don't mind it much, so it's all good. Don't worry I rib them back plenty. > Me: Color combination. What kind of color sequence would be the best for a Mandalorian Medic? T: As stated above, see the Medic brigade section. > Me: Out of all the Mercs, who do you go with to Conventions? T: Out of all the Mercs, I actually go to conventions the most on my own, however if we only count times I go with someone, it would be with my friend in the 501st Legion. Me: I've noticed that you have affiliations with the 501st Boys, or 501st Legion. You are both a Mercs and 501st Legionare? Did you acquire a new set of armor, or did you use your "Thaxos" Armor? T: Custom Mandalorians are not canon and so they don't fall under the 501st organization. I am a member of the 501st with my Republic Commando kit and in fact am also a part of the Rebel Legion with it as well. Me: You have an RC KIT?! That is like amazing! By any chance, do you have any pictures up that our readers can look at? This is Atina and I'm signing off with Thaxos! Have an awesome day and I'll catch ya'll soon! Try not to get on the bounty list, or I'm gonna have to catch ya! Look at all those power rangers (mocking tone) JK these are Mandos! Look at all these top guns! When I finally got my head out of the snow bank, both men had their Lightsabers drawn, and were in a heated duel. I didn't know what to do. 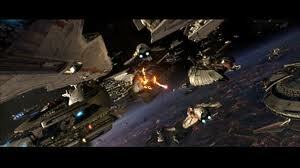 I was torn in two because Thanatos was my brother and Ijaa Night was my Jedi Master, who was like a father to me. As they continued attacking each other with great force. I began to muster up as much force energy as I could. I sent a powerful force wave that knocked both men off their feet. "I will NOT take the fighting. I won't allow you to kill each other!" I said enraged. I felt my fist clenched tighter. Suddenly, I felt a disturbance in the force, and it hit me, literally. I felt the heat of a blaster and the sulfur smell of the discharge. Pain rushed through out my body as the laser hit my armor's slits. The laser slipped through the protective coating, hitting me in the spine, which punctured my lung, cauterized the wound. I felt the pain, but it was impossible for me to scream. I crumbled to the floor, unable to breathe properly due to the injury. I moved my hand near my wound, gasping for breathe. I saw Thanatos' kind face above me, as I felt my head spin. I felt someone gently caressing my cheek as well as propping up of my head. I continued to struggle for air then finally blacked out. The presence began to come closer. I aimed my blaster towards the feeling. Out of the blue, two other guys come up behind my masters, stunning them with a stun baton. Both Master Ijaa and Master Adel were unconscious The same assailants that attacked Master Adel earlier surround me. "A blaster. Didn't think you Jedi used blasters." noted one of the assailants with a slurred voice. He began to walk drunkenly towards me. I sent a force blast towards him, sending him flying past the trees while snow pelted him. I glared fiercely at the other assailants. "Would you like to take a trip, or walk out of here, because I'd be more than happy to send you on a trip." I replied with harshness in my voice. With black ski masks covering their face, I couldn't see their response to my threat, but through the force, they were scared. Unfortunately they didn't back away, but instead they came closer. I mustered as much of the force as I could, using Sith Sorcery against the assailants. They crumbled to the ground as I mustered their worst nightmares from their dreams. Though I was growing physically weak from the attack, I continued to press the sorcery. Through the force, I could tell they were slipping into unconsciousness I let up the sorcery, exhausted. Through the force, I felt another powerful presence appoaching me. I was extremely tired, so I didn't move. I felt my legs shake as the adrenaline rushed out of my body from the fight earlier. As I turned around, I noticed a broadly built man standing right behind me. He had a black ninja mask over his face, but I saw a thin scar tracing his right eye. I moved my hand towards my lightsaber, which was still clipped on mh belt. "Are you one of those idiots?" I questioned. The man continued to stare at me. I shifted my glance towards the masters, who were sprawled across the floor. I raced towards them, ignoring the man. On my belt, was a simple medi-pack. I began to search through it, trying to find some stimulants. Finding the stims, I check Master Ijaa's pulse, seeing that it is fine. I injected the stim into his cardiac artery, hoping that it would wake him up. Then I began to check Master Adel. Unfortunately the stun baton had affected his heart. There was no pulse. I began to do chest compressions as tears streamed down face. Tears began to roll off my chin, melting the snow around me. Eventually, I felt a small pulse coming from him. My heart leaped to my throat. I began to grab a stim off the floor when the man grabbed my wrist. I struggled against his iron grip. "What the haran?" I asked. He continues to stare at me. "Why do you keep following everywhere I go? I'm trying to help a Jedi Master. LET ME GO!!!" I began to kick him, but he tackled me to the floor, placing pressure on my wrist so I was unable to escape. "A stim won't help him. It will only make his condition worst. He has a heart problem, where as the other Jedi doesn't. He needs to get out of the snow and the wind. It isn't helping his condition." responds the man. He then pulls down his bandana, which was covering his face. His features were extremely familiar. Memories began to flood my memory. I was running from a Sith. My brother, Thanatos, was at the house, fixing me a morning meal. I was only 9 years old, and I was trying to out run a Sith. Thanatos spots me from a distance, racing towards the house. A Sith with several tattoos marking his face was gaining on me. Back then, Thanatos was around 14 years old. He ran out of the house, trying to chase the Siths away. Only, they chased him and kidnapped him instead. I hid at one of our old hiding spots, but Thanatos never returned. I haven't seen him for 7 years. He had changed so much. I reached out to embrace my long lost brother. As I wrapped my arms around him, I felt his broad shoulders, and his strong arms around me. I once again felt safe. Behind me, my master arose from his unconsciousness I kept my grip on Thanatos, afraid that he would leave me once again. As my master sat up, he noticed Thanatos and I embracing. I could see his vision clearing, his eyes widening and his jaw drop to the floor. Master Ijaa sent a powerful force blast towards Thanatos. The blast hit me as well, and I tumbled backwards, shooting headfirst into a snow bank. I was unable to see my surrounding, but I heard muffled yelling. I began to fret. My master is on the floor, Master Adel was injured, and a blaster was in my face. What should I do? I began to think. I observed the situation. Though the assailants' face was hidden behind a mask, I could make out that two of them were males and the other was female. "Hands up in the air, Jedi." ordered the assailant with the blaster. I slowly did what he ordered, but at the last minute, I sent a strong force wave towards all three assailants. I knocked the blaster out of reach from the first assailant and activated my sand-gold saber. My master quickly activated his green saber, force leaping towards my side. I stared at the three assailants with piecing blue eyes. "Would anyone want to explain to me what the heck is happening here?" I projected my voice. The assailants just looks at me, not answer me. I still had my saber activated, standing in an opening Soresu stance. One of the assailants lunged for his blaster, and fired several shots at me. I simply deflected the shots back towards him. Two went flying towards a tree, and I managed to send one back at him. The laser richosaded towards him, hitting him in the foot. The assailant was howling in pain and the other two started backing away slowly. I let the force flow through me, and I sent the assailants flying into the trees. Master Adel watched in amazement as Master Ijaa heaved him over his shoulders, running towards a clearing in the woods. The wind began picking up around us. A soft howl was echoing through the trees, richoshading off the rock walls. My Master's relentless pace keep me from feeling the temperature drop, but it placed a strain on my muscles. As the clearing drew nearer, I noticed that the weather had taken a turn for the worst. The snow began to fall heavily around us. The melting snow began to soak into my boots, causing my socks to become damp. As I squished behind my master, I began to feel uncomfortable. After a trek through the woods, my exhausted Master gingerly placed Master Adel at a foot of a great elm tree. Puffs of steam appeared as my master breathed heavily. I sat down on the ground, taking out a fire starter from my flight bag starting a fire. I began to take off my boots and soggy socks. I also used the force to create a protecting barrier around my Master and Master Adel to keep them from the rapidly falling snow. I stood up, tossing my master a bag with a simple tent kit. I began scouting the area for some large logs. When my Master put up a covering, I dropped the force protection and placed 100% of my effort into looking for a good cover. After searching the area for a secure base, I found 3 sturdy logs that would make a great 3 point shelter. I used the force to levitate the logs back to our base. I began to wearily assemble the logs into a 3 point shelter around us. The reason for the 3 point shelter was to protect us from the elements. After the shelter had been assembled I stumbled exhausted into the shelter, puffs of air forming around my nose and mouth. The fire was burning steadily in the shelter, keeping everyone warm as well as dry. I removed my boots again, ignoring the roughness without my socks. I searched through my flight bag for parts of my Trooper armour. I eventually found my chest plate as well as my armoured boots. I slipped outside and removed my shirt to place my chest platings. Since I had left my wet boots in the shed, I just slipped on my armoured boots over my cold feet. I folded my shirt quickly and I strolled back to the tent. Master Adel was recovering from the cold, and my Master had been using the force to rejuvenate himself. I placed my flight bag at one side of the tent, and made my way towards to my. I began to study his features carefully. I've only been his padawan for 8 months after my former Jedi Master, Paul Lell, died on Geonosis. I noticed that I was studying him, and he looked back at me. My thoughts were on how he seemed more like a brother than a Jedi Master. He was only 16 years older than me, but it seemed that he was younger. I began to think about the first mission that we had. I all began with when I was studying in the Jedi Temple in the Jedi Archives. I was studying some force techniques and I began to try it out. Only, when I began to perfect my force levitation, a Jedi Master, Ijaa Night, startled me. Through the force, I was levitation a glass of Gatorade. As he startled me, my concentration slipped. The glass tipped, and Master Ijaa Night was drenched in Gatorade. As I realized what had happened, I began to feel shocked. I wanted to have a Master, NOT wet one. Suddenly, I began to feel a disturbance in the force. I came to my senses and leaped up at an alarming rate. Both of the Masters had also senses he disturbance, and activated their lightsabers. The howling of the wind began to pick up, and I felt a familiar presence creep closer. I unholstered by blaster pistol, flipping the switch to activate the cell.